Brand new two bottle wine bucket in crystal clear acrylic. Beautiful contoured exterior of the bucket is reminiscent of a sloping vineyard hill. 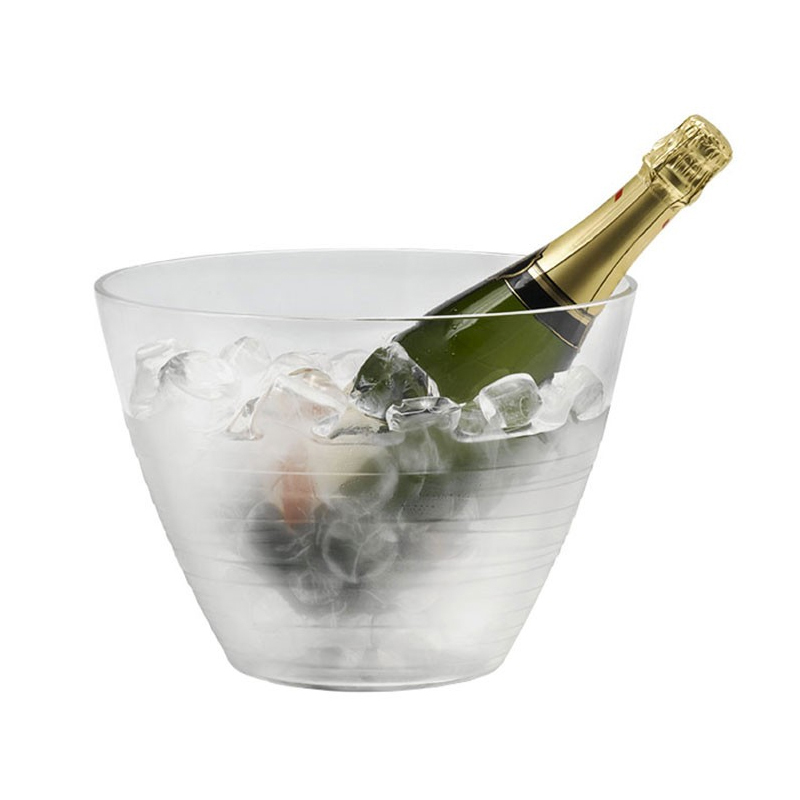 Print ice bucket from 100 pcs.